The dynamics of paid social media advertising vary greatly between platforms. Many successful businesses go without it, while others use it as the cornerstone of their sales engine. Handled carefully, social media advertising can provide an ample source of near-immediate leads for your funnel. Done wrong, however, it has all the same pitfalls as conventional digital ad platforms: you could find yourself spending thousands with no results. Success with social ads calls on you to carefully consider your strategy and how you can access your audience. Before you can get started with social media advertising, you need to know exactly who your audience is. Every specific detail you can identify about them will ultimately translate directly to your ad targeting. Demographic basics like age, gender, professional background, and location are a start, but also think in terms of interests, ambitions, and driving professional concerns. Each platform has ad types for you to explore. Though the selection at LinkedIn remains fairly sparse, Facebook and Twitter have both introduced a broad range of ad formats that you can connect to all sorts of sales and marketing goals. Under the principle “fail fast, learn faster,” it’s best to try out more than one type and see which resonates with your audience. Every social media platform has its own approach to advertiser analytics. Still, you shouldn’t rely on even the most robust built-in analytics solution to meet all your needs. Make sure you’re tracking key traffic metrics on your own site, especially as they relate to conversions. 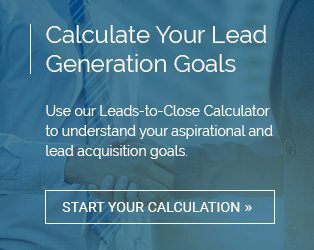 Detailed conversion stats will help you refine your effort and split-test landing pages to generate leads. Social advertising works best when it’s paired with a consistent organic presence. Leverage your dedicated business page or brand social account to talk to users directly and inspire engagement. Ads are great for attracting new interest, but robust social pages cultivate long-term relationships. Most social media marketers and sales pros still aren’t quite using their platforms to their full potential. By understanding the interrelationship between organic and paid social media and where they intersect, you’ll be able to serve your audience much better. That, in turn, will make it easier to match your social media tools to the business challenges at hand in the future.